Events of the recent past demonstrate that he often goes too far. But in terms of cars, spaceships, solar panels and Hyperloos, he is likely to be the one who demonstrates how far one can go. Admitting that the miscalculation was his mistake and that people just do some things better than robots, he had Tesla pulled out a major chunk of the automation and replace it with sentient beings. In short, Musk went too far. 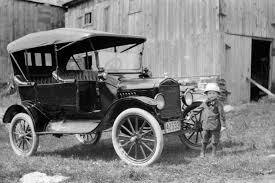 His company and his reputation are paying a significant price for it, but at the end of the day, the Tesla is probably the most significant improvement in ground transportation since the Model T Ford. 2. SpaceX Rockets. Musk has looked to the future, done some deep thinking about it and it scares the hell out of him. But instead of walking around carrying a sign warning “The End is Near,” he has created an economic opportunity. There may come a time–not as far into the future as any of us would want, that Earth becomes uninhabitable. 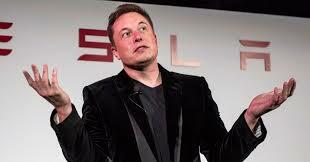 With that in mind, he created SpaceX which has proven that Silicon Valley technology can expedite space travel faster, better and far more cheaply, with private financing than NASA can do with government backing and traditional contractors. His goal is to build a human colony on Mars, where humans might create an inhabitable environment after destroying the one we have here. On Sept. 19, he announced one giant leap for humankind when he announced that Yusaku Maezawa has chartered a ride on the SpaceX Big Falcon Rocket. The Japanese billionaire will bring along six-to-eight artists as guests. The flight is scheduled for 2023, but Musk schedules have been known to slip. To me, that is of little matter so much as that Musk, more than any other individual I can think of, is exploring how far we may need to go.